William Shakespeare is a name nearly everyone knows, he was an English poet, playwright and actor in the 16th century. I am sure your teachers made you suffer through Romeo and Juliet as well as Othello back in high school. 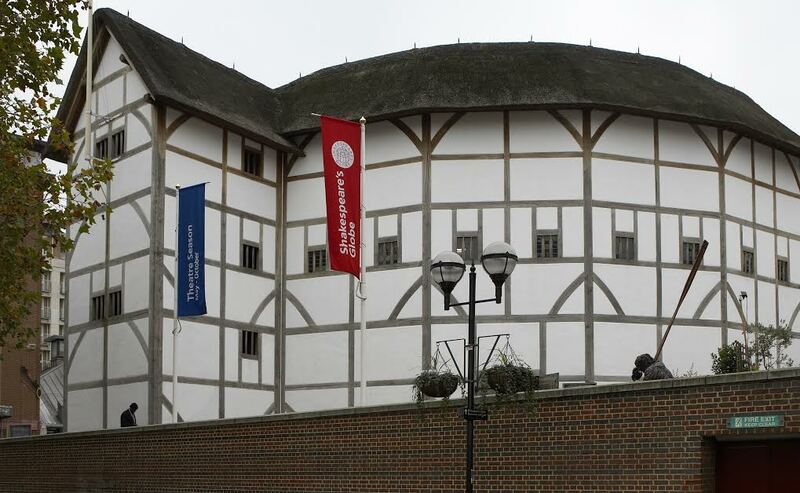 You may not have appreciated it then, but now that you are slightly older and slightly wiser, you will want to visit Shakespeare’s Globe Theater while you are traveling in London. The Shakespeare Globe Theater that you can visit today is not the one built in 1599 by Lord Chamberlain’s Men, Shakespeare’s playing company. The original Globe Theater burned down in 1613 because of a cannon accident during a performance of Henry VIII, was reconstructed in 1614, then closed by Puritans in 1642 and unfortunately destroyed in 1644. Sam Wannamaker built the replacement of Shakespeare’s Globe Theater. It took over 20 years for the building to be planned and completed. Wannamaker wanted to build the new theater as close to the original 1599 theater as possible. Modern fire codes made this process difficult but it was finally competed in 1997. Today, plays performed at the theater are performed as they would have been in Shakespeare’s day. All performances are during the day, there are no spotlights, no microphones, and the instruments are played on the stage by musicians, not through speakers! Talk about blast from the past! If you are lucky enough to visit London between May and September, be sure to catch a play! This experience will bring Shakespeare’s infamous plays to life like you have never seen them before! There is no need to worry if you find yourself in London in the off months, you can still see the theater by taking a guided tour! Be sure to check out all of our great Travel Tips for England before you head overseas. Our 2014 trip dates have spring saver discounts of up to $250 if you book and pay by February 28th. So, what are you waiting for? Travel with us on Facebook, Twitter, LinkedIn or Pinterest. This entry was posted on Thursday, February 6th, 2014	at 1:05 pm	. You can follow any responses to this entry through the RSS 2.0	feed. Both comments and pings are currently closed.